Brooks Sports is the leading company in performance running and walking with a mission to inspire people to run and be active. Our footwear is created using a combination of world class design, biomechanical research and input from podiatrists and other medical professionals. This is shown through industry leading technological breakthroughs such as our BioMogo, a high performance, proprietary midsole material which provides superior comfort in use and is gentler on the environment after use, as well as our Progressive Diagonal Rollbar (PDRB), a tri-density midsole construction offering unmatched support for those feet that overpronate excessively. Our commitment to making great footwear also includes a commitment to making them for all types of feet. That means not only providing footwear for different biomechanical needs but also offering those shoes in multiple true widths from narrow through extra wide (AA-4E) and in sizes that range from 5 to 16. We are the only company in our industry with an exclusive focus on performance running and walking. Ultimately, our best ingredient is the people at Brooks who have made us the #1 rated company for customer service in each of the last five years. Be they a long time fan, a retail partner or someone who has yet to experience the Brooks difference, our people work every day to make Brooks the most trusted brand in running and walking. 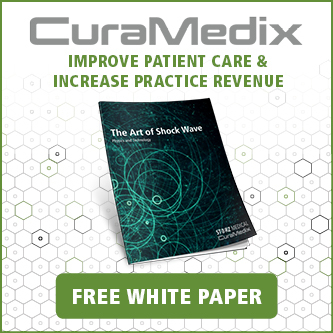 CuraMedix is an emerging leader in medical technology focused on the development, distribution and utilization of regenerative medicine technologies to include; Extracorporeal Pulse Activation Technology (EPAT®). 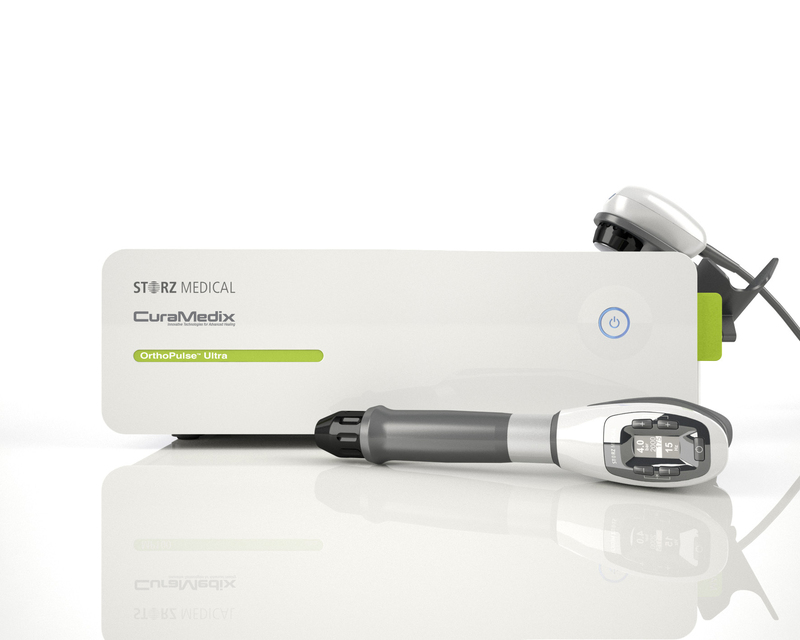 Our products improve medical professionals’ and patients’ lives around the globe. Our technological innovations are setting new standards in the treatment of musculoskeletal disorders. EPAT® devices accelerate healing while improving clinical outcomes non-invasively with all the benefits of traditional treatment methods including invasive procedures and without the risks. EPAT® Treatment Systems are scientifically proven, versatile and can be used for a broad range of musculoskeletal conditions. We believe that advances in regenerative medicine technologies – particularly non- invasive products and procedures – are transforming patient care. Drawing on the experience of physicians around the world, and the medical and technical expertise of our partners and associates, we're continuing to introduce innovative products, procedures and techniques that treat root cause, accelerate the healing process, reduce expenditures and improve the overall patient experience. Earlier intervention. System versatility. Our EPAT® systems help tackle many of the challenges of traditional treatment methods do not. EPAT® devices treat root cause of injury and provide a long-term healing solution without incisions eliminating scar tissue formation, risk of infection, ending the care cycle and reducing patient expenditures while enhancing practice revenues. 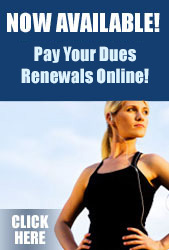 For more information visit www.curamedix.com or call 1-877-699-8399. HOKA ONE ONE understands that you, the Sports Medicine Professional, are looking for the proper equipment to recommend to your patients for various foot related ailments. To keep them on their feet pain free - running or walking - you need to be able to recommend footwear designed to deliver biomechanical benefits with confidence. 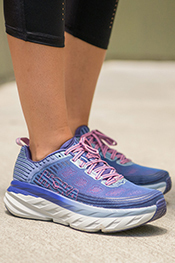 Since 2010, HOKA ONE ONE has been bringing new and elevated benefits to runners of all types. HOKA ONE ONE understood from the beginning that natural foot motion was extremely important for maintaining healthy movement and activities. We have engineered a unique performance midsole geometry that features a higher volume, softer density, and greater rebounding foam than standard running shoes. In addition to greater cushioning, all our shoes incorporate minimum drop geometry along with a Meta-Rocker design to promote consistent rhythm in the runner's foot strike. These benefits of cushioning, an efficient ride, and inherent stability have allowed us to build a loyal and dedicated customer following who realize that this experience cannot be found in any other brand of performance footwear. up to 35mm in the heel and 31mm in the forefoot. up to 30mm in the heel and 24mm in the forefoot. Excellent shock absorption and an inherently stable ride which is designed to reduce the fatigue in your feet, legs, and core. Supports a runners natural form, and encourages an efficient, continuous Positive Gait Speed roll from heel-strike to toe-off. Designed to provide integrated stability which is adaptable to a wide range of feet and running styles. You know nothing slows you down faster than pain and injury. Training for a marathon, getting ready for a big game, achieving a fitness goal, or just trying to get through the day, you need relief to get you through it all. KT TAPE can help. Lightweight, comfortable to wear, and can be used for hundreds of common injuries such as lower back pain, knee pain, shin splints, carpal tunnel syndrome, and tennis elbow, just to name a few. KT TAPE not only looks good, it provides 24-hour relief for days at a time through sweat, strain and humidity. It can even be worn in water, thanks to our specially designed adhesive. Check us out online at www.kttape.com. Podiatry Insurance Company of America (PICA) is the nation's leading provider of medical professional liability insurance for podiatric physicians in the United States. For over 35 years, PICA has provided medical malpractice coverage while supporting and enhancing the podiatric profession through sponsorships, risk management seminars and annual scholarships for podiatric medical students, to name a few. Founded by podiatrists, for podiatrists, PICA is committed to protecting and supporting podiatric physicians in every aspect of their practices. We take the time to assess physician needs and assist in choosing the policy coverage that best meets the defined needs. PICA has the expertise and resources to protect a practice like no other company. Powerstep® is the leading brand in affordable, prefabricated orthotics for many common foot conditions and pain. Founded in 1992, Powerstep serves both the retail market – emphasizing specialty businesses such as running stores – and the medical community, especially podiatrists. The key to the company’s success has been a combination of effective, innovative products, creative marketing and outstanding customer service. The Powerstep line features medical-grade polypropylene supports calibrated with flexiblity, dual-axis control, and stabilizing heel cradles. These features provide first-line therapy for plantar fasciitis, heel spurs and other conditions, relieving heel and arch pain, as well as knee and lower back pain. For the medical community, Powerstep offers a line of affordable, prefabricated orthotics doctors are proud to prescribe. 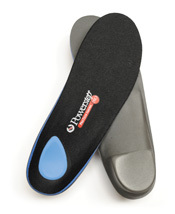 Over 4,000 medical professionals prescribe Powerstep ProTech orthotics, including the ProTech Control full length and 3/4-length supports, with a firmer arch and a 2-degree stabilizing heel post, and the popular ProTech Full Length. The Powerstep ProTech products are sold exclusively by medical professionals. Retail stores throughout the United States offer the Powerstep retail line. Products include the ultra-cushioned Pinnacle especially well-suited for intense activity, the cushioned Pinnacle Maxx with a 2-degree heel post for over-pronators, a thin full-length edition for tighter fitting shoes, and a thin 3/4-length version that is popular for specialty athletic shoes. The product’s packages are high quality and feature the phrase “The Podiatrist’s Prescription for Pain Relief”®--a pre-emptive claim that supports the therapeutic benefits the products provide. 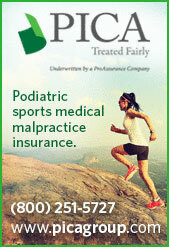 All products are approved by the American Podiatric Medical Association. Stable Step takes great pride in the outstanding service offered customers – knowledgeable customer service and sales personnel, same-day shipping with no backorders and a limited guarantee to ensure complete satisfaction.